Thanks! We can’t wait to welcome you to Jordan! Jordan is a country of brilliant contrast, where traditions centuries old illuminate the warm and hospitable modern Arab culture of the present-day. 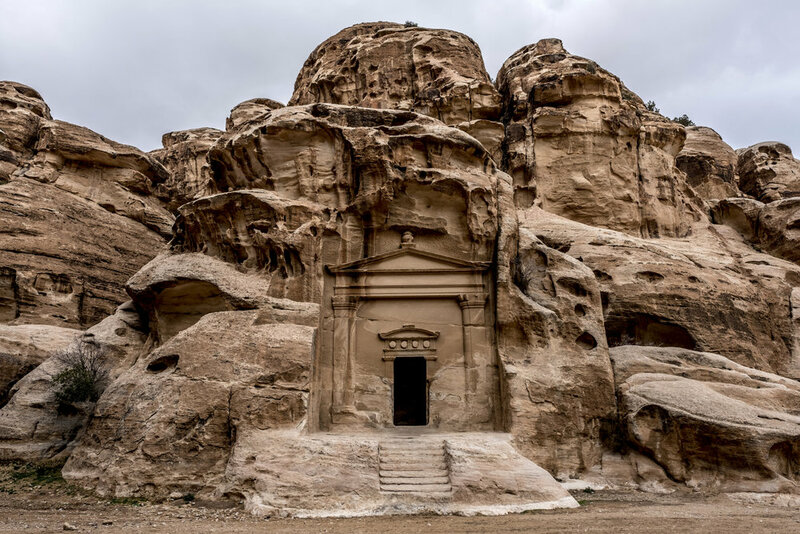 When you join us on this once-in-a-lifetime trip, you will experience one of the best coral reefs in the world, the most well-preserved Roman city outside of Italy, a Martian landscape on the ancient trade route to the Orient, the 21 minerals found only in the therapeutic mud of the Dead Sea, and of course Petra, one of the new seven wonders of the world. More than that, we will connect with women and locals throughout the country to better understand life in a culture so different from our own. Woven through all of these is the unparalleled opportunity to experience the warm hospitality of Jordanians and day-to-day life in a safe, friendly, and modern Middle Eastern country. The first time I visited, I felt completely rewarded for taking a leap into a country that had previously not held a place on my bucket list. When I returned to the United States, I felt that more women should have the opportunity to experience the safe, vibrant, and perspective-shifting destination that is Jordan. Whether a trip to the Middle East is a tiny step or a giant leap outside of your comfort zone, I hope you’ll join us. Trust me that this exclusive trip to Jordan will be an incredible travel experience that will stay with you for years to come. I want to take this opportunity to introduce the cultural insider who is making a dynamic and immersive trip like this possible, Ramzi Nawafleh. By sheer luck, Ramzi was my guide when I visited. I was thoroughly impressed by his ability to lift the veil and welcome us into his culture while guiding us and genuinely caring for the well-being of our group. He and I will accompany the group 24/7 from the time you arrive in Jordan until it is time to board your return flight home. Together, Ramzi and I bring you an in-depth knowledge of the destination, and more than two decades spent leading experiential trips. We aim to create a journey for you, our guests, that is engaging, illuminating, unique, fun, and perspective-shifting as we explore Jordan’s wonders in comfort and style. Those who choose to purchase a ticket on the suggested group flight (nonstop from Chicago O'Hare to Amman on Royal Jordanian, departing Friday 9-November at 7:00pm) will land at Queen Alia International Airport in Amman at 2:30pm on Saturday 10-November. The flight will be met in the terminal by an airport assistant who will guide the group through passport control and baggage claim. Visitor visas are required for Americans but will be handled by our staff in advance of your arrival. Cathleen and Ramzi will meet you at the airport and in our private minibus, we will be brought to our hotel to check in and refresh. Note: If you prefer to explore and shop in Amman or adjust to the time difference, there are Royal Jordanian nonstop flights on 8-November from both Chicago and New York (JFK) to Amman (AMM). Our home for two nights in Amman is the new 5-star Amman Rotana, the tallest building in Jordan. Rotana is a Middle Eastern brand with a wonderful reputation for hospitality. 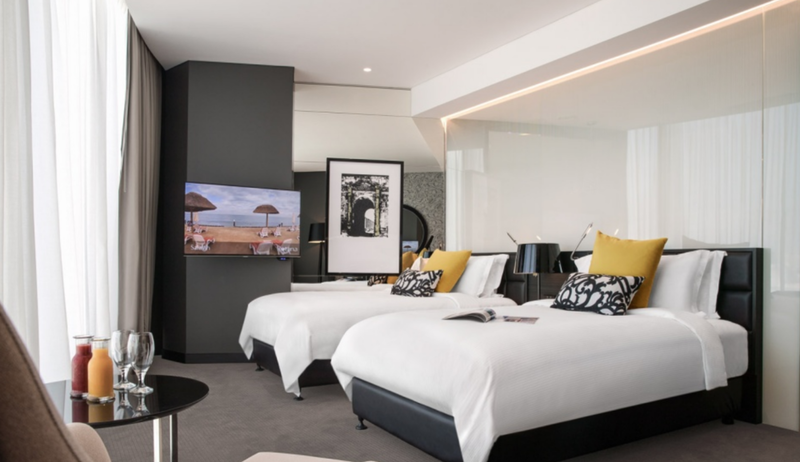 The hotel enjoys a coveted spot in the newly-developed Abdali neighborhood, which offers pedestrian areas, restaurants, and shopping just outside of the hotel. After taking some time to refresh, we will kick off the trip with our welcome dinner at Wild Jordan overlooking the historic center of Amman. Wild Jordan is a restaurant, shop, and info center operated by the Royal Society for the Conservation of Nature, which supports projects to protect Jordan's natural heritage. It is one of the most well-regarded restaurants in the city, and the proceeds directly impact conservation programs and local communities. After getting to know each other over our first delicious tastes of Jordanian food, we'll head back to the hotel for a good night's sleep in anticipation of the adventures to come. When you arrive in Amman, you may believe yourself to be in a distant land with a history and culture far from any you've known before. On the contrary... we will be traveling along the most famous trade route known to Western Civilization, connecting the ancient empires of the Mediterranean to those of the Orient. This morning when we visit Jerash, about 45 minutes from Amman, we will find ourselves standing in the middle of the best-preserved Roman city outside of Italy. Jerash was buried in sand for centuries and so the archaeological reassembly is a work in progress, as you may realize when you lean against the cool stone of a toppled column and take in the views. The Roman infrastructure is evident here, seen in the city layout and the wagon ruts on the original streets you'll walk along. 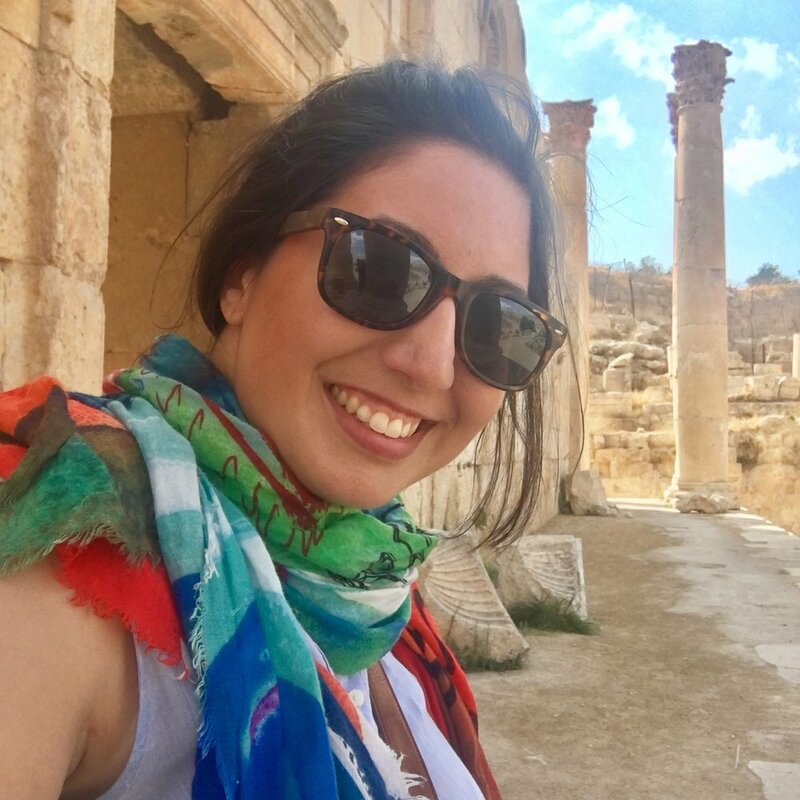 On our privately guided walking tour through the ancient city, Ramzi will show us the influence of the Byzantines, Greeks, and others who have called Jerash home throughout the past 6500 years. After exploring the ruins of Jerash, we'll enjoy a family-style lunch nearby at the Lebanese House. The distance from here to Lebanon is likely less than for you to travel to your nearest state line. The food at this family-owned restaurant is delicious and memorable. (I still have dreams about their Muhammara... Google it if you can't stand the suspense.) We'll indulge in mezze such as fresh hummus, moutabel (maybe you know it as baba ghanouj), labneh, tabbouleh, falafel, kibbeh, and more. Save room because the main course is still to come, as is dessert, and finally... Arabic coffee. Upon returning to Amman, we will learn more about this fascinating city built upon nineteen hills, or jebels. On the city's highest hill, now called Citadel Hill, Ramzi will lead us among ancient ruins left by empires of the past, including caves from the Bronze Age and a palace from the Umayyad rulers of the 7th century AD. In the center of Amman, we will also see two Roman theaters that are still in use today. Amman is also home to Jordan's allotment of the Dead Sea Scrolls. You can continue to explore the shops along Rainbow Street and in the heart of downtown Amman, or you may opt to go back to the hotel for a refresh before dinner. Tonight, we are headed to a wine tasting at the Zumot Winery, home of award-winning St. George wine made in the countryside north of Jerash. After we are led through a tasting, we will pair our wine with a dinner of local specialties. We will spend our final morning in Amman meeting with local organizations, shops, and social enterprises whose work directly impacts Jordanian women throughout the country. Women in Jordan are among the most educated in the Middle East, but only 13.2% of women participate in the workforce - one of the lowest percentages in the world. Many organizations are working to close this gap by creating sustainable opportunities for women outside the home. We'll have lunch in Amman before making the 2.5 hour drive south to Little Petra, a suburb of the ancient trading capital. We will learn about the Nabateans who lived and traded here in anticipation of our visit to the ancient city of Petra tomorrow. Our home for the next two nights is the the one-of-a-kind Old Village Resort. Archeological evidence has been found in the village dating to the Bronze Age, predating Petra. The buildings themselves were constructed from stone in the 19th century by members of Ramzi's tribe who called this village home until the modern development of the city of Wadi Musa in the 1970s. The village has been fully restored and is now operated as a hotel by members of the tribe. After checking in, you will have some free time to refresh. Tonight, we will get to break bread with locals as we are graciously hosted by Ramzi's family for a homestyle dinner. The rose red city of Petra is an immense and unbelievable marvel that fuses the majesty of nature on the scale of a U.S. national park with the remarkable achievements of an ancient civilization. This morning, we will wake up early to begin our visit in advance of the day-trippers and tour buses. When we walk through the siq, the slot canyon that leads to the city center, you'll be in awe of Petra's natural beauty, as likely the visiting caravan traders felt centuries ago. When you emerge from the narrow canyon, you will be eye to eye with Petra's most famous monument, the Treasury. Ramzi knows every rock in Petra, as he grew up here and has been sharing the stories of the Nabateans with travelers since he was a teenager. With him, we will explore the temples, tombs, and Roman amphitheater of the ancient city. While the tourists leave Petra to dine, we will have a picnic lunch delivered to us among the ruins, and afterward take the iconic hike to the Monastery. After finishing our hike, we'll return to our hotel to refresh before the evening's activity. As we now have a good understanding of Jordanian food, we will now learn how to make it ourselves alongside some of the top chefs of the city. At Petra Kitchen, the expert chefs purchase all of the ingredients for the evening at the local market and will teach us using traditional local recipes. Then, we'll learn how to say bon appetit in Arabic as we feast on our homemade dinner! This morning, you have the option to sleep in, or you can join us for an early morning guided hike in Petra where you'll be rewarded with an incredible view before the crowds arrive. After our hike, we'll return to the hotel to refresh and check out. Then it's off to Wadi Rum for a glamping (glamorous camping) adventure in the desert. 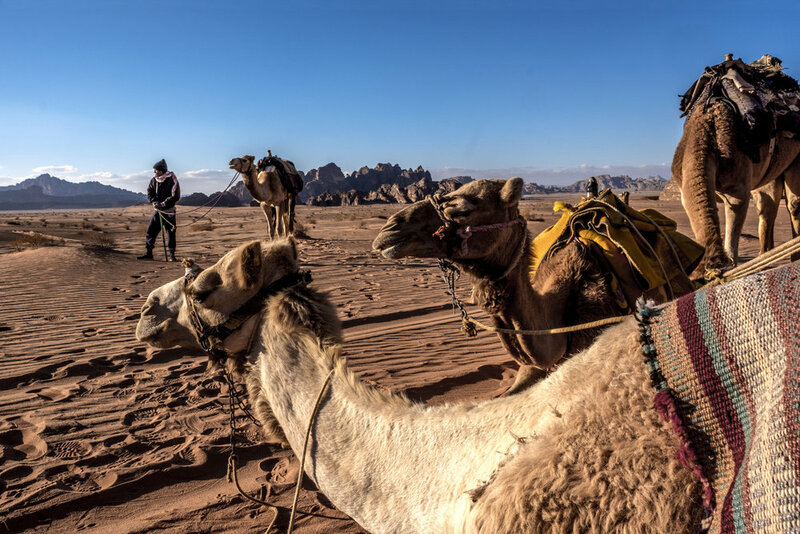 Even if you don't know its name, Wadi Rum will likely be familiar to you, as it serves as the backdrop to several movies including The Martian, Star Wars Rogue I, and Lawrence of Arabia. The desert of Wadi Rum has been inhabited for millennia. If you want proof, ask to see the petroglyphs. Today, we will meet bedouin tribesmen who still call the beautiful desert home. After lunch, our bedouin guides will take us on an excursion through the moonscape terrain T. E. Lawrence rightly described as "vast, echoing and God-like." You'll have some downtime this afternoon to arrange a camel trek, do some yoga, or relax at our glampsite. Each glamping bubble has two beds, a complimentary non-alcoholic minibar, a full bathroom and shower, a deck with lounge furniture and an incredible view of the desert from inside and out. We'll meet back again to watch the sun set over the red horizon. Tonight, we will enjoy the warm hospitality of our Bedouin hosts as they prepare for us a traditional desert feast, including zarb, food cooked in a traditional Bedouin manner underground, music and folk dancing. After waking up to witness the mesmerizing desert sunrise from your glampsite in Wadi Rum, we'll have a Bedouin breakfast and bid farewell to our gracious desert hosts. Take a power nap or practice your Arabic with us on the hour-long ride to Aqaba. 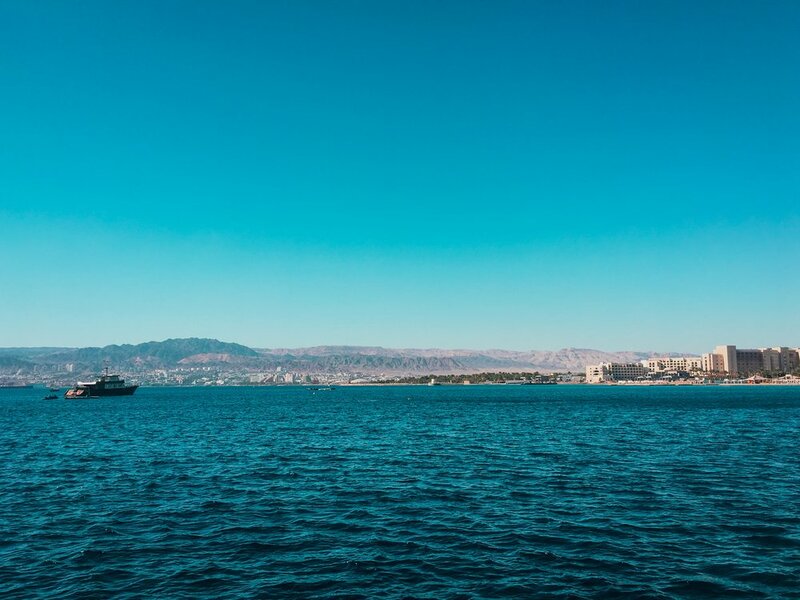 The city of Aqaba has been an important port since ancient times, and these days still serves that purpose while attracting visitors from near and far as a year-round resort with a vibrant city center. When we arrive, we'll experience the Red Sea in the best way possible - by yacht. Sunbathe and relax on board, and optionally snorkel the clear waters of one of the world's best warm-water coral reefs. Aqaba's reef is home to more than 250 species of tropical fish, and showcases six to nine types of coral per square meter, compared to an average of two kinds per square meter at the Great Barrier Reef. After snorkeling, we'll enjoy lunch on board, along with views of Jordan, Saudi Arabia, Egypt, and Israel from the water. Our hotel, the Kempinski Aqaba, has a perfect location on the Red Sea with a private beach and infinity pools overlooking the sea. After we return from our excursion, you'll have the remainder of the afternoon and evening to relax at the hotel or explore the city of Aqaba, including its famous souq, or marketplace. We'll offer restaurant recommendations if you'd like to dine among locals, or you may choose to eat at one of the hotel's waterfront restaurants. However you choose to spend your evening, be sure to catch the views of the sunset from the hotel over Egypt's Sinai Peninsula. More adventures await us in the Jordan Valley. Enjoy breakfast with a view over the Red Sea before the 3.5 hour trip north driving on a highway through Jordan's famous rift valley and along the eastern shore of the Dead Sea. Our drive north will bring us to ancient sites important to the three monotheistic religions of the region. Our first stop is the UNESCO World Heritage Site, Bethany Beyond the Jordan, the place where Christians believe that Jesus of Nazareth was baptized by John the Baptist. We'll also show you a modern pilgrimage church and the spot on the River Jordan where people still come to perform baptisms today. Afterward, we'll drive uphill, ascending more than 2500 feet to Mount Nebo, where Moses is believed to be buried. The Hebrew Bible states that it was from this hilltop that Moses was granted a view of the Promised Land. On a clear day, it is indeed possible to see the Dead Sea, Jericho, Bethlehem, and even distant Jerusalem. A trip to Jordan wouldn't be complete without a visit to the Church of St. George, home of the famous Madaba Map - the oldest known map of the Holy Land, dated to the 6th century. Afterward, we'll be welcomed into a local home in Madaba for lunch and cultural exchange. Departing Madaba, we will make the short drive to the shore of the Dead Sea and check in to the beautiful Kempinski Ishtar Dead Sea Resort for two nights. Enjoy the views of the Dead Sea from your room, or from one of the infinity pools. You have the remainder of the evening on your own to enjoy one of the many bars and restaurants onsite, including one with live music, drinks, and hookah overlooking the sea. It has been an action-packed week! Today, the day is yours to relax and enjoy the amenities of the resort. Head to the resort's private beach to lather yourself in mineral-rich Dead Sea mud and then enjoy the incredible sensation of floating in the water nearly 10 times saltier than the oceans. Lunch today is on your own as you enjoy the amenities of the resort at your own pace. Speaking of amenities, the spa at the Kempinski Ishtar is the largest in the Middle East, at over 100,000 square feet. Their treatments feature the one-of-a-kind minerals and mud of the Dead Sea. Tonight, we will gather for our farewell dinner at the hotel. We will reflect on our journey together as we take in the incredible sunset over the Dead Sea. Enjoy your breakfast with the sunrise on the Dead Sea before we are driven 45 minutes from the resort to the Queen Alia International Airport to catch either nonstop flight on Royal Jordanian heading to Chicago or to New York. We wish you safe travels home, and many happy returns to Jordan! Yes, Jordan is a safe country with secure borders, statistically safer than most locales in the U.S. It is known as the Switzerland of the Middle East for its ability to maintain relationships with the many differing viewpoints of the region and the world. The Hashemite Kingdom of Jordan has continually welcomed people of different religions and ethnicities, resulting in a tolerant and diverse populace. As in the U.S., you will find security screenings when entering government buildings, and these measures extend to the 4 and 5-star hotels throughout the country. Is it safe to drink the water? Can I eat street food? It is recommended for visitors to drink bottled water. This is the preference of most Jordanians too. Bottled water will be provided in the hotels and on the bus. There is a high standard for restaurant food in Jordan, but travelers are cautioned against eating street food as food safety standards and the use of purified water cannot be verified. Note that the easiest way to obtain local currency with the best exchange rate and minimal fees is to use an ATM. If you have questions about good debit or credit cards for international travel, Cathleen is happy to offer insight. Jordan is a desert country, so in early November you can expect warm, dry days (60s to low 80s, depending on where we are) and cool dry nights in the 50s. Be sure to bring a jacket or sweater to be out in the evenings. It’s a good idea to dress in layers, as places like Petra can be chilly in the morning shadows but warm once the sun is high. When we are at the Red Sea, it will be plenty warm enough to swim or snorkel, with temps in the 70s-80s and a water temperature in the 70s. Are there certain things I’m not allowed to wear? Jordan is a moderate Islamic country where you will encounter a spectrum of clothing choice, from western jeans and polos to traditional robes for men and abayas for women, and everything in between. It’s not necessary to wear a head covering, but an overall tone of modesty is considered respectful in local culture. Yoga or workout clothes are acceptable in the hotel fitness center, but not in public. Western bathing suits are fine as we will be at private hotel beaches and pools. You are welcome to bring shorts/skirts/dresses, but please err on the side of the conservative (i.e. leave the short shorts, high hemlines, low necklines, etc. at home). We want you to be comfortable, but we also want locals, especially women, to feel comfortable in their interactions with us. Do people drink alcohol? Do they smoke? Alcohol is readily available at hotels, most restaurants, and bars in the cities. As Jordan is an Islamic country, alcohol is not very popular with locals. Instead, it is common for people to gather and smoke a hookah (also known as shisha, water pipe, or hubbly bubbly) with friends. Smoking is more common than it is in the United States, and is often allowed inside bars and some restaurants. Our hotel rooms will be non-smoking rooms (unless both travelers request otherwise at time of booking) but be aware that we may encounter cigarette smoke in our travels. Is it a problem that I don’t know any Arabic? Nope, you’ll be fine! English is widely spoken, especially by the individuals you will encounter in the tourism industry. Street signs are in Arabic and English. Ramzi will be teaching us useful Arabic words and phrases, and you may find it useful to download Google Translate’s offline Arabic dictionary. The trip cost is $3550 per person based on double occupancy. 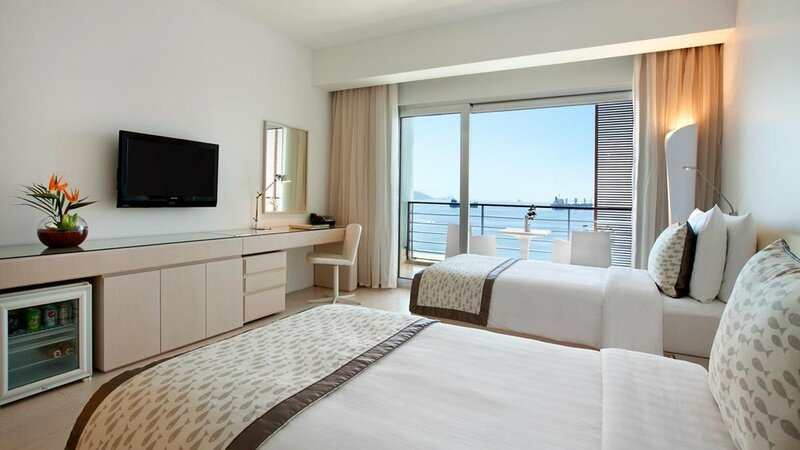 To reserve a single room, the supplemental cost is $745 per person. Note: Travel insurance is mandatory and is not included in the trip cost, though Cathleen will assist you in arranging it. Flights are not included in the above pricing, but again, Cathleen's booking assistance is available. Spa treatments, hotel incidental expenses, etc.